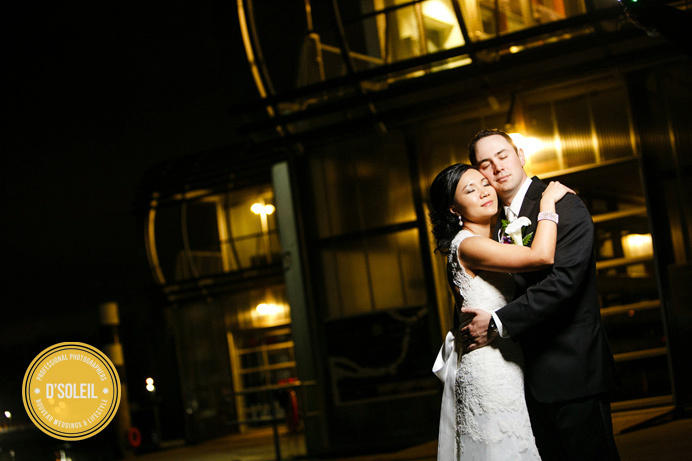 One frame from Kathy + Richard’s UBC Boathouse wedding. This is one of the evening photos we took at the boathouse. The concept was to take Kathy and Richard outside for a few minutes of time to themselves while the guest enjoyed food, music, and dancing inside the wedding venue. Thanks to White Noise Entertainment for keeping the crowd busy while we sneaked a few photos around the boathouse deck. Previous Post Previous post:Spring is in the air | Lily + Jon Vol 1. Beautiful photograph. The lighting is just divine!